Queso, not quite a liquid, not quite a solid, but one thing is for certain: it's beloved by many Austinites. Whether you like it smothering a burrito or to dip chips in, it's no argument that queso makes everything taste better. Austin has arguably some of the best queso in Texas, so it should be no surprise that many restaurants serve up this liquid gold. Luckily for you, we've taken the work out of exploring the city and compiled a list of the best queso in Austin. Now sink your chips into that! If you lived in Austin for any amount of time, you knew this queso destination was going to be on the list at some point. Located in various destinations all around Austin, Kerbey Lane Cafe has been an Austinite favorite since 1980. The 24-hour cafe has been serving its famous pancakes, breakfast, and signature dishes to its loyal fanbase for many years. However, a trip to Kerbey lane would not be complete without a bowl of their famous Kerbey queso. To top it off, the delectable queso can be catered for vegans or have black beans and guac added for even more flavor. If you haven't experienced Kerbey Queso or had your fill as of late, we highly recommend you visit this Austin favorite. What do a famous Texas Land commissioner and queso have in common? Well, as the story goes, Bob Armstrong had visited Matt's El Rancho looking for something new. With this in mind, the restaurant owner, Matt, quickly put together the now famous "Bob Armstrong" queso. What separates this queso from any of the other liquid gold in Austin? The Bob Armstrong queso is packed with taco meat, sour cream, and guacamole, a recipe that would soon be a fan favorite among many Austin queso aficionados. Visit the famous Matt's El Rancho for a uniquely-Austin queso. Some of the most unique tacos in Austin need unique queso to compliment. Torchy's Tacos has been an Austin favorite since 2006 and has since developed a loyal fan base. Their unique take on queso comes in two varieties: Green Chili and Hillbilly. The Green Chili queso is covered in guacamole, cotija cheese, and Torchys famous diablo hot sauce, and if you're feeling adventurous you can upgrade to hillbilly, which is just like the Green Chili queso but with added chorizo. Visit one of the 16 Austin locations and try some of the best queso Austin has to offer! It goes without saying that variety is the spice of life, so that must mean a restaurant with a lot of salsa/queso variety will spice up your life. The award-winning Tacodeli has a variety of salsas and queso that will surely add some spice to the even the blandest of days. 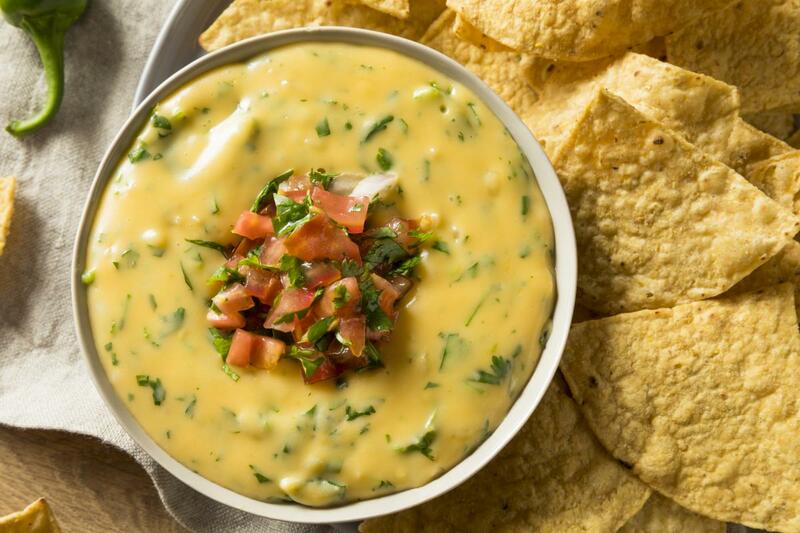 Let's not forget about the reason we are all here, the liquid gold known as queso. Tacodeli has the regular variety, but if you really want to change things up, they also have Roberto's Brazos's Fuerte Queso, which is loaded with guac, pic de gallo, and beef picadillo. Venture out to Austin's own Tacodeli and add some variety to your tastebuds. Any Austinite has probably recommended Magnolia Cafe to you at some point, whether it's their amazing breakfast or the fact that they are always open. But did you know that Magnolia cafe has some of the best queso in Austin that you can get any time of the day? They also have queso in two different varieties: the Mag queso, which has avocado and pico de gallo, and the Sonora queso, which is the same as the Mag queso but with the addition of spicy ground beef. Anytime is queso time at Magnolia Cafe, so stop in whenever you can! Started on Austin's famous Barton Springs Road in 1982, Chuys Tex Mex is easily the most popular Tex Mex spot in Austin. The fun and eclectic atmosphere perfectly blends in with the unique culture of the city and has expanded well beyond its Barton Springs location. The restaurant boasts eight unique sauces that are the perfect compliment to any chip, and Chuys is known for its unique take on queso. Their chili con queso features green chili cheese and ranchero sauce while their Queso Compuesto features ground sirloin, guac, and pico de gallo. If you haven't by now, do yourself a favor and stop into one of the many Chuys locations. While the restaurant may be a chain, it's still uniquely-Austin. You don't need to find the end of a rainbow to find gold. Just visit one of these Austin restaurants and indulge in some of the best queso that locals cherish!